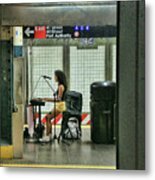 N Y C Subway Scene # 10 is a photograph by Allen Beatty which was uploaded on July 25th, 2016. 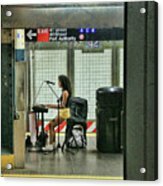 Since 1985, The MTA Arts & Design office has managed the Music Under New York program presenting quality music to the commuting public. At present, more than 350 soloists and groups participate in Music Under New York providing over 7,500 annual performances at 30 locations throughout the transit system. 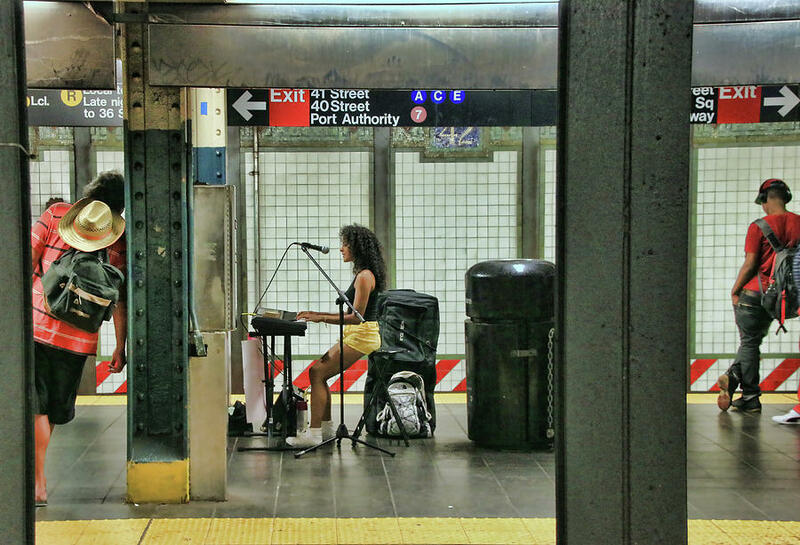 Classical violinists, Cajun cellists, jazz ensembles, bluesmen, Latin guitarists, opera and folk singers are just a few of the performers in the subway and train stations contributing to the music culture of New York City. Here we see recording artist Maritza Lord perfoming in the 42nd Street Station. 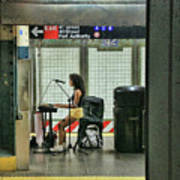 Surely the essence of the subway!